Although a will is something that not many of us may want to think about, it is something that we all need. The primary purpose of a will is to ensure that your assets are distributed in the manner in which you choose. Other functions include assigning guardianship to any minors you may have so that they receive the care you want them to. Having a will can help reduce further stress on family and loved ones in what would already be a difficult time. By writing a will everyone can be clear on your wishes. You can also declare your preference on how you want your funeral to be handled, for example, burial or cremation. Writing a will also helps reduce the amount of Inheritance Tax that would be payable on assets you leave behind. Without a will your estate will automatically be shared out according to the law. While this may be fine for very simple circumstances, the law does not take into account any relationships you may have outside of family or even the quality of family relationships. By making a will you can decide who will receive what. 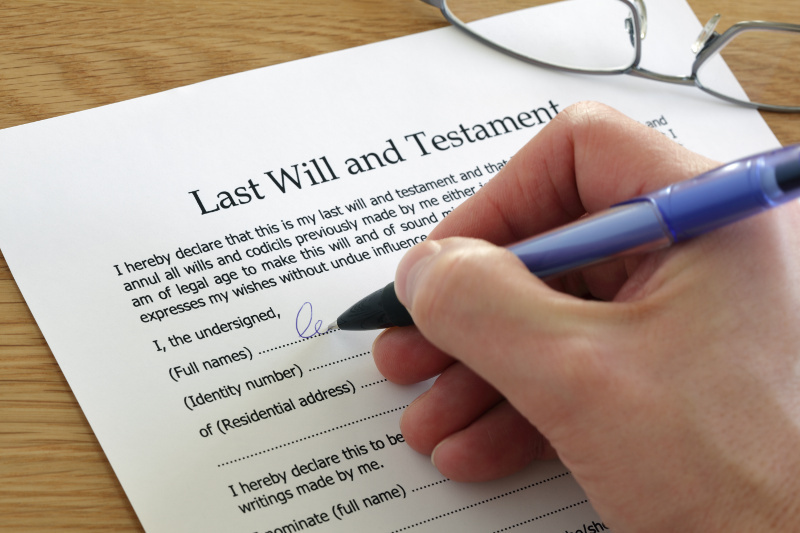 Dying without a will is known as intestacy. You can find out who would inherit your property if you were to die intestate by using the online calculator at the GOV.UK website. Making a will is a straightforward process. Begin by planning who will inherit your estate, known as the beneficiaries. These may be family, friends or even charities. You will then need to think about your assets and how you may want to split these. Your assets include any savings you may have and also things like pensions, property etc. You may wish to talk to family and friends about any choices you make as they may think of something you didn’t.You will need two independent witnesses of your will and these cannot be family members. You will also need to decide who will carry out the wishes in your will. This person is known as the executor. When you have an idea of what you want to leave to whom, give First In Mortgages a call on 02921 400 771. We offer a range of services and referral options to put this in place. By using a professional service, the complicated areas of will writing will be done for you and you can be confident that you will have a protected and legally valid will. Bear in mind that if your circumstances change significantly you should consider revising your will to ensure that it still reflects your current wishes. A conveyancer or solicitor specialises in the legal aspects of buying and selling property. Once you have decided to purchase a new property or sold your existing property you will need to instruct one to carry out the legal work needed to complete the transaction. Here at First in Mortgages we work closely with conveyancers to ensure the whole process is seamless and completed to your satisfaction in the necessary time scales.